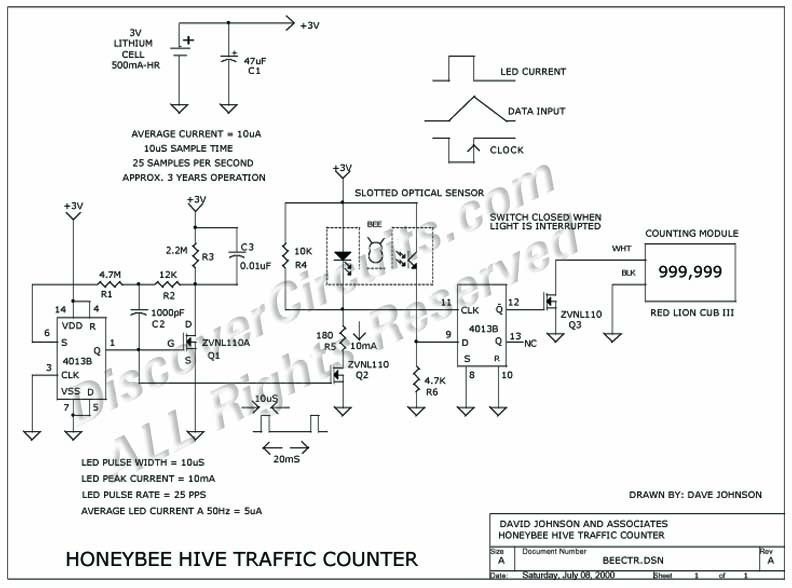 Hobby Circuit - HONEYBEE COUNTER __ Circuit s designed by David A. Johnson, P.E. I designed a circuit similar to this one a long time ago to help a beekeeper count the number of bees going into or out of a hive. The low power circuit uses a slotted opto-sensor to detect the passing bees. The circuit advances an electronic counting module whenever a honeybee passes through the sensor. The device only counts the number of bees going through the sensor. A different circuit would be needed to count the number of bees only going out or only coming into the hive.